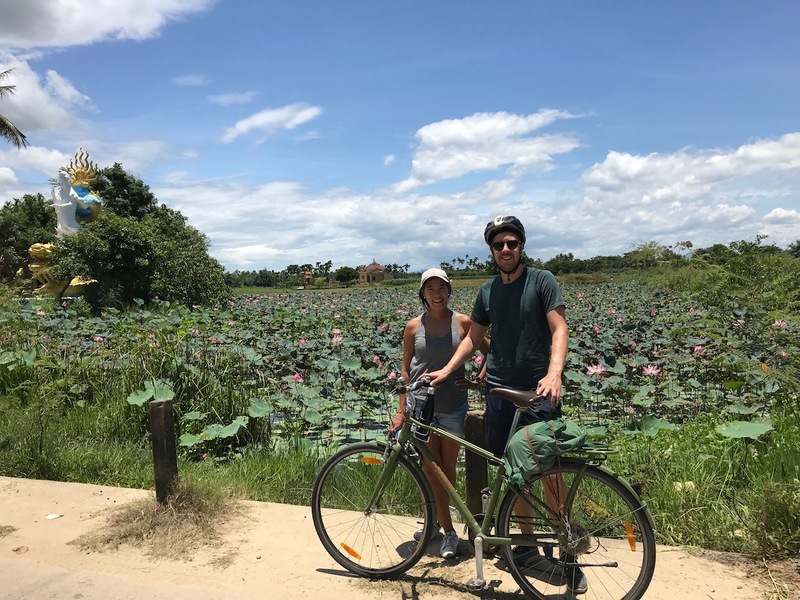 With five days in Hoi An, Vietnam, Steve and I had more than enough time to escape the city and go on a half day biking tour on Cam Kim Island with Hoi An Cycling. Our day began at the Hoi An Cycling meeting spot in the old town where we were fitted with our bikes and helmets. 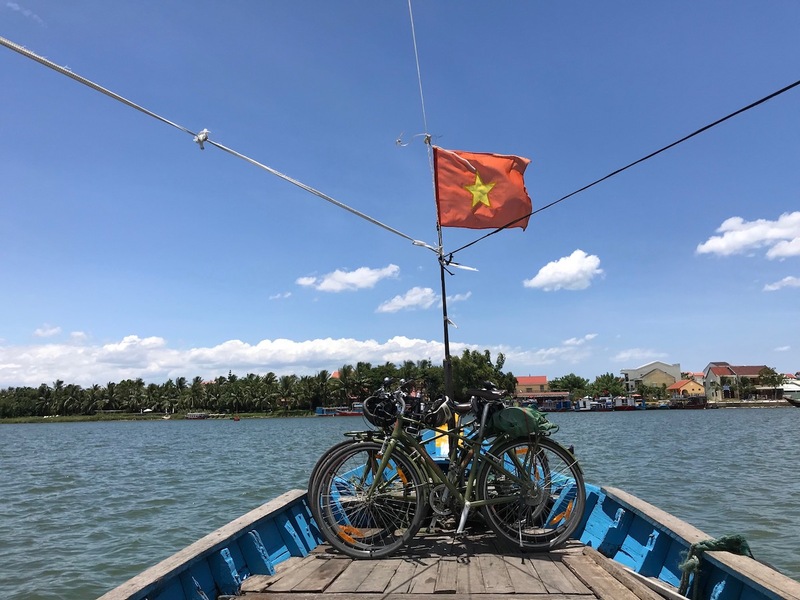 With our guide Lucky, we rode our bikes for ten minutes to the edge of the river, where we took a 10 minute boatride from Hoi An to Cam Kim Island. The island is a small countryside village made up of mostly farmers and reed-mat makers. 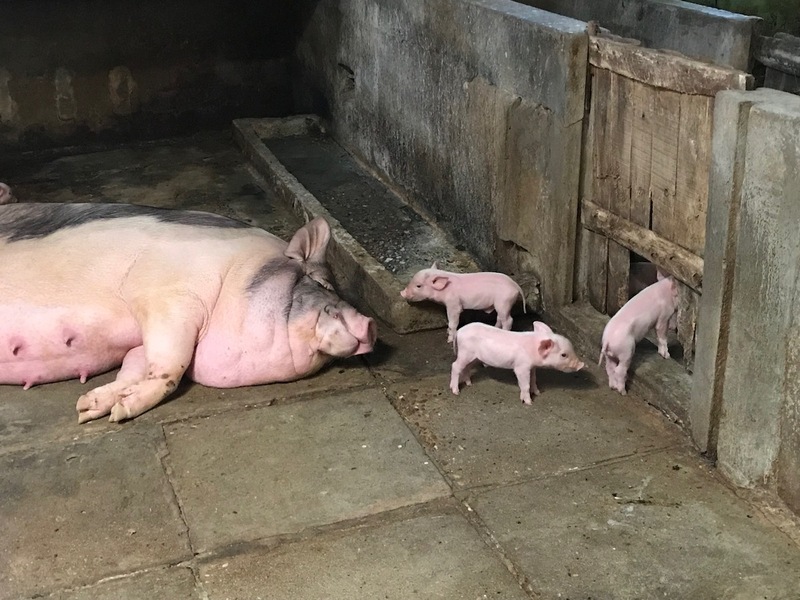 We lucked out with a private tour with just the two of us. The ride was the perfect — flat paths with few motorcyclists and even fewer vehicles, scenic farm views, and friendly locals (especially the children) waving and calling out to us every corner we turned. 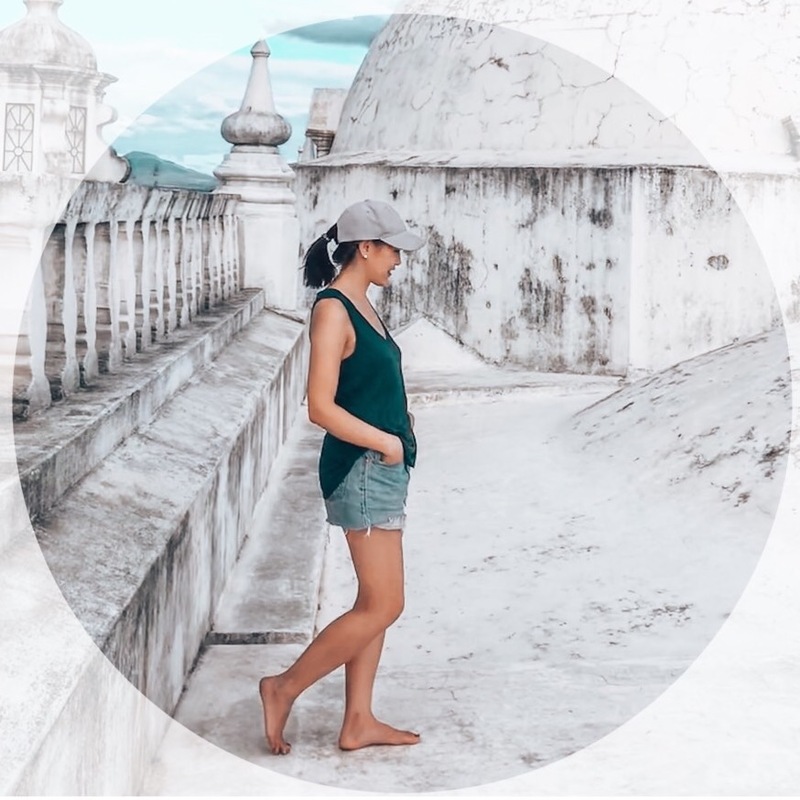 The terrain is smooth and flat with very little traffic, the perfect leisurely conditions that made biking actually enjoyable, instead of stressful! On Cam Kim island, we made three stops at the home of skilled artisans. 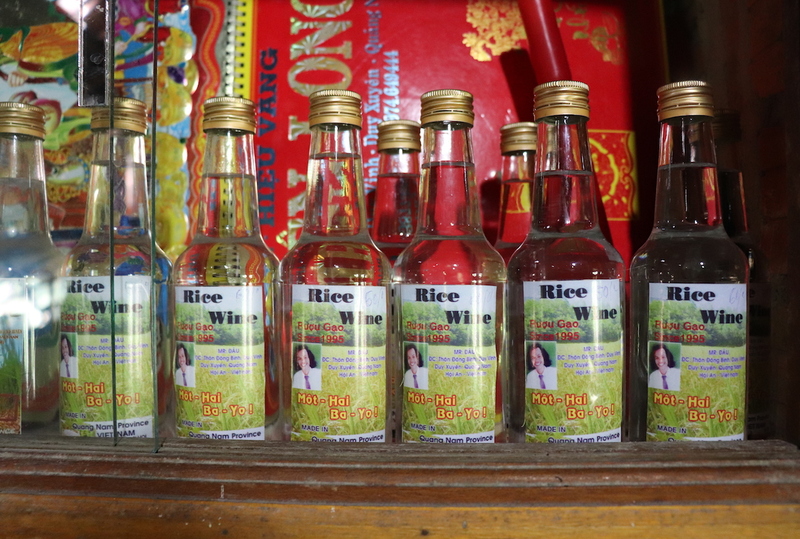 The first was to a rice wine maker, the only one on the island. 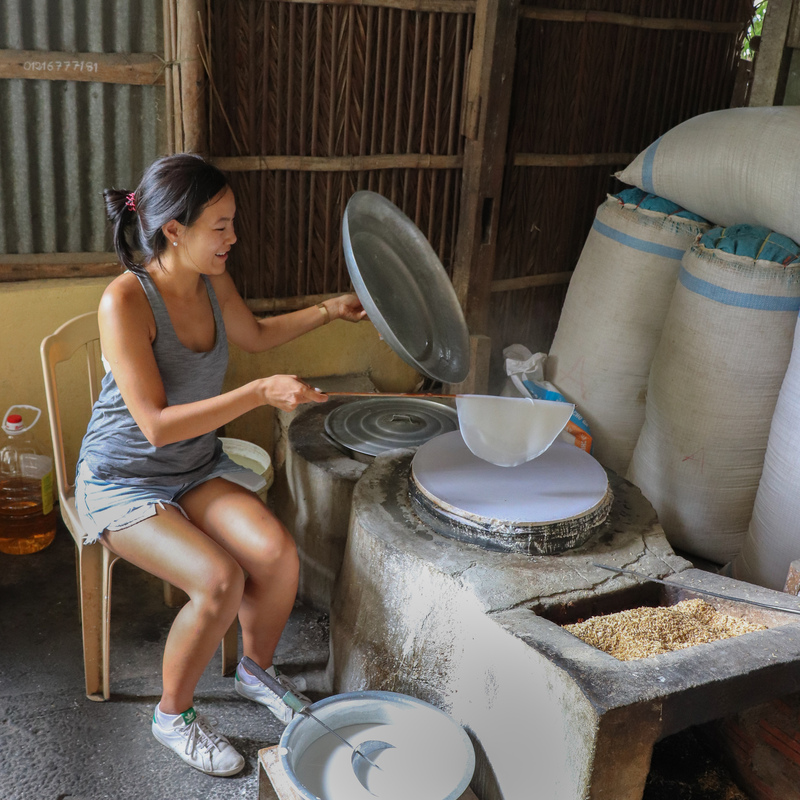 We learned that they use 10kg of rice every day for their wines, mixing it with natural yeast and left to ferment in buckets. 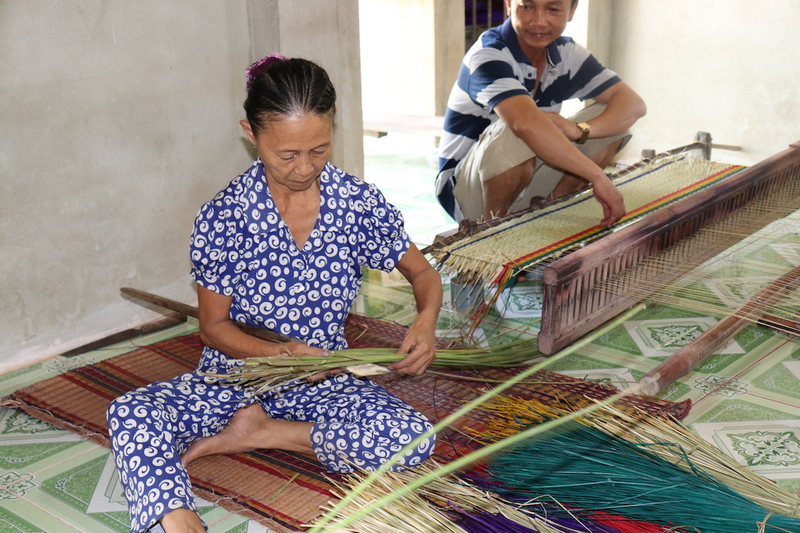 The next, was to a reed mat weaver, where Steve and I had the opportunity to try weaving a few lines of a traditional tapestry — it takes more strength and coordination than you’d expect! 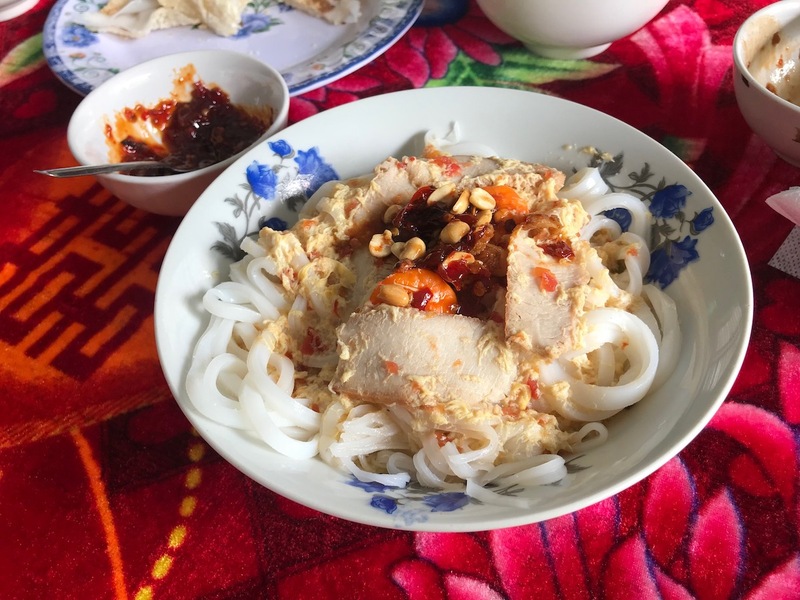 Lastly, our lunch stop was at the home of a rice noodle maker, where we steamed our rice noodles from rice flour, and cut them by hand. Our guide Lucky was amazing and as usual we bombarded our tour guide with questions about life in Vietnam. Apparently three years ago he couldn’t speak a word of English but with practise and confidence gained from encouraging tourists, he learned quickly. Lucky is one of the best English speaking tour guides I’ve encountered in Vietnam so far! We biked 15km in total over 3 hours and felt like the tour was well balanced between biking and the stops we made. We were definitely sweating by the end of the tour, but it was from the noon-day heat, not so much from the energy exerted. When you’re done the cycling tour and back on the mainland, be sure to make a visit to Phin Coffee and try their coconut coffee. 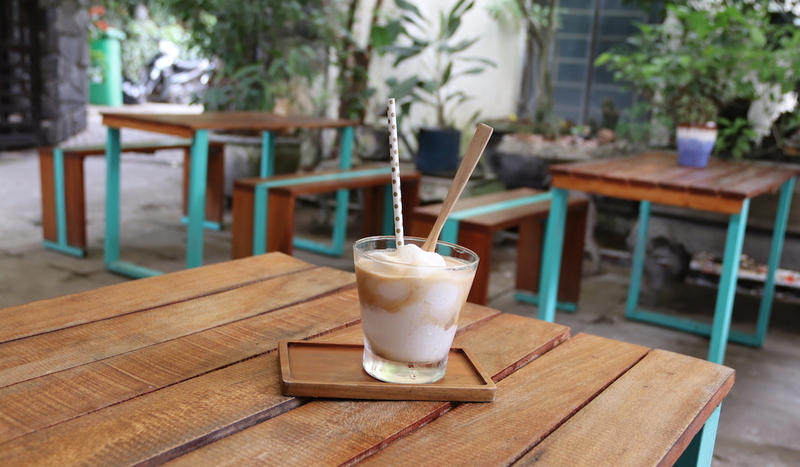 The cafe is owned by the same owners of Hoi An Cycling. 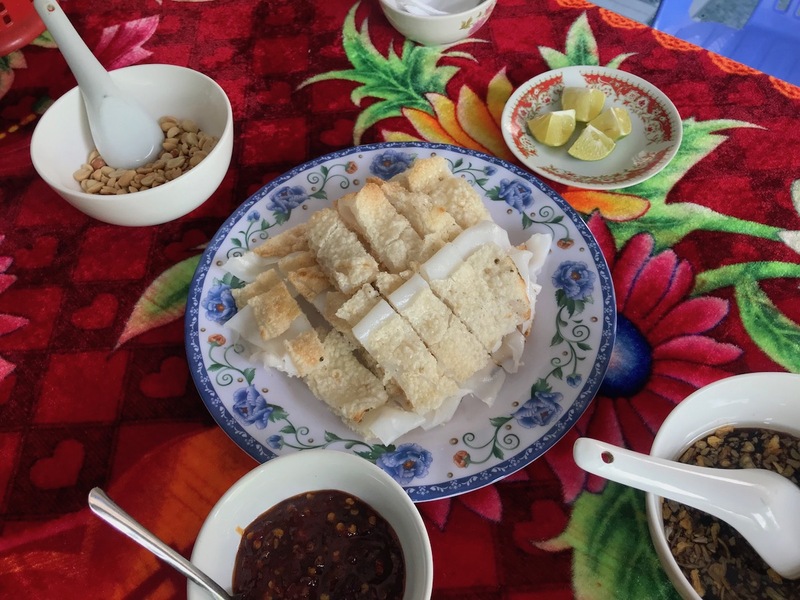 Although the tour we did was Hoi An Cycling’s most popular tour, other excursions the company offers includes a “Bites by Bike” food tour, as well the very challenging Hai Van Pass ride. For more information on Hoi An Cycling, visit: hoiancycling.com.